We typically think of spring and summer as the time to tackle those DIY jobs, but there’s no need to put your projects on hold just because the nights are drawing in and there’s a chill in the air. Here are six indoor DIY projects for the cooler months that won’t take more than a few days, can be done in any weather, and will help make your home ready for those cosy nights in. Now is the ideal time to make sure your insulation is up to par, so you can keep those winter drafts out and say snug until spring. A bit of time spent vacuuming your old insulation and installing new batts can make for a warmer, more comfortable house during the cooler months. Sanding and sealing timber floors or grinding concrete floors is a job that we often put off, but it can give your home a whole new lease on life. The cooler months can also be tough on floors as more grit and dirt gets tracked in, which can in turn lead to damage to your surfaces. The right sander or grinder can make easy work of the job and leave your floors gleaming and smooth for sealing, polishing or tiling. The key thing is to make sure you use the right grade of sand paper or grinder cup or plug for the material. Talk to the team at your local Kennards Hire branch to make sure you get the right accessories for the job. 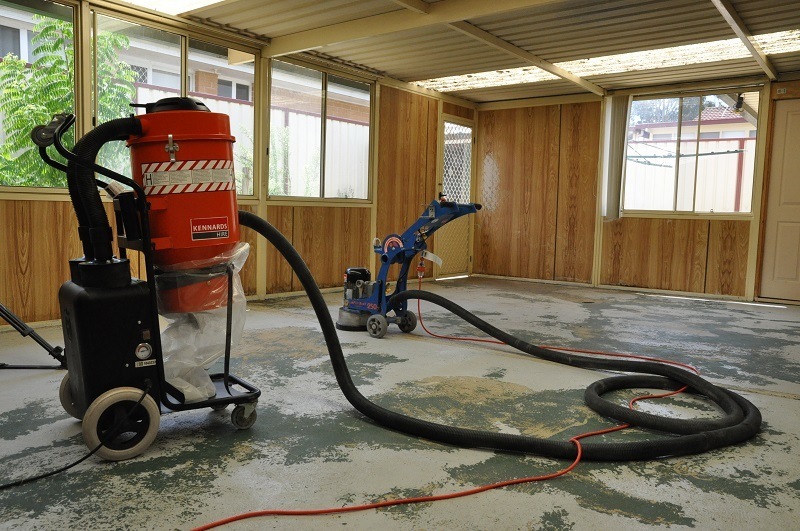 Floor polishers are a versatile machine that can help make your concrete or timber floors shine. Polishers come with a variety of pads to scrub, clean, buff and polish your floors. Simply mop the floor first, and then use the floor polisher over the wet floor. A fresh coat of paint can give any room a lift or a completely new look. If you do it by hand using brush and roller, it’s a workout all by itself. If you’re keen to save your muscles and get the job done a lot faster, an airless paint sprayer can help. The benefits of using an airless paint sprayer are many, including better coverage, less wastage and faster drying times in the cooler weather. You can also speed up the drying process with a fan or heater. Give those tired looking tiles a facelift or even give your kitchen or bathroom a complete makeover. Tiling is a great cool-weather job that produces satisfying results for a day or two’s work. You can remove old tiles with a demolition hammer first. Light demolition hammers are perfect for wall tiles, or if it’s floor tiles you’re taking up, you can use a heavy hammer mounted on a trolley for easy manoeuvrability. 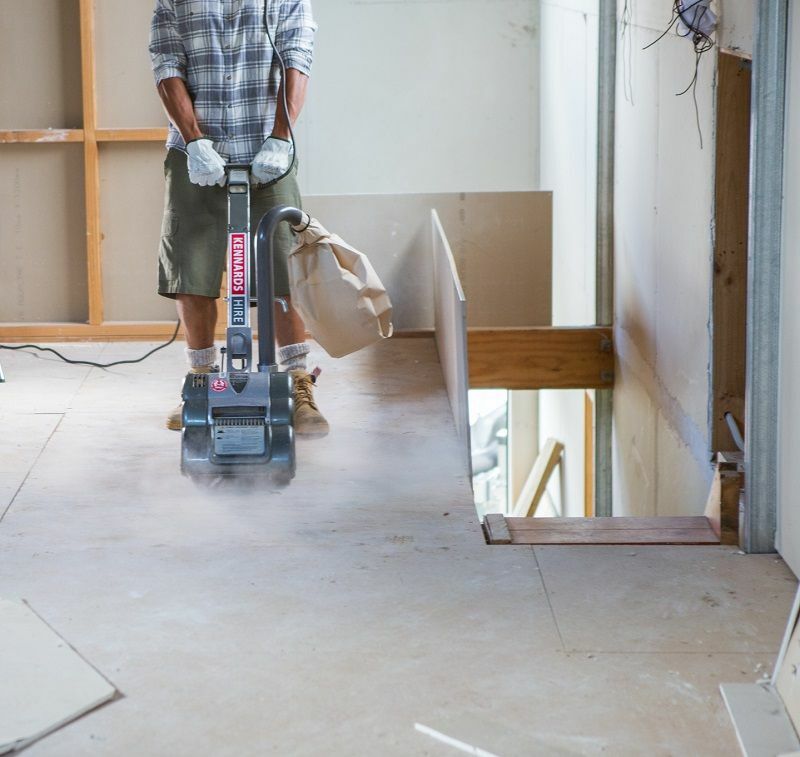 If you need to level a concrete floor after removing tiles, a concrete grinder is the right tool for the job. It's also great if you have a painted concrete floor you'd like to strip. Are those hard-to-reach windows and high ceilings looking a bit dusty? Now is a great time to get on top of those out-of-the-way places to brighten up your home and let a little light in. Safety is an important consideration when you’re working at any kind of height, and this means avoiding wobbly stepladders or standing on furniture to clean. While you might think scaffolding is only for big construction sites, it comes in a range of different sizes and can be ideal for smaller home projects. The seasons might be changing, but that doesn’t mean you have to give up on your DIY projects. There are plenty of inside projects you can take on. You’re going to be spending more time indoors for the next few months, so why not make sure your home is looking its best? The right tools can make a big difference to the outcome of your DIY project. At Kennards Hire, we can supply you with floor sanders, demolition hammers, concrete grinders, scaffolding, airless sprayers and more. Give us a call or drop in to one of our branches to have a chat about your needs.